Mating changes these ducks' behaviors. Usually they are fairly quiet, non-aggressive ducks, but during mating season, the males become louder and more aggressive. The males have courtship displays that they do to get the females’ attention. These displays include energetic, abrupt movements. They will do head-bobbing , wing-lifts, and water-ski moves. The water-ski move is when a male skirts over the water and his feet and plumage are visible. During courtship displays, males will make their heads seem larger by making their crests stand up. They will drive other males away by splashing. They will also make a loud chattering-like call. While some species of ducks may be similar to the buffleheads, the small size and courtship display behavior lead to reproductive isolation. The breeding season is in spring. 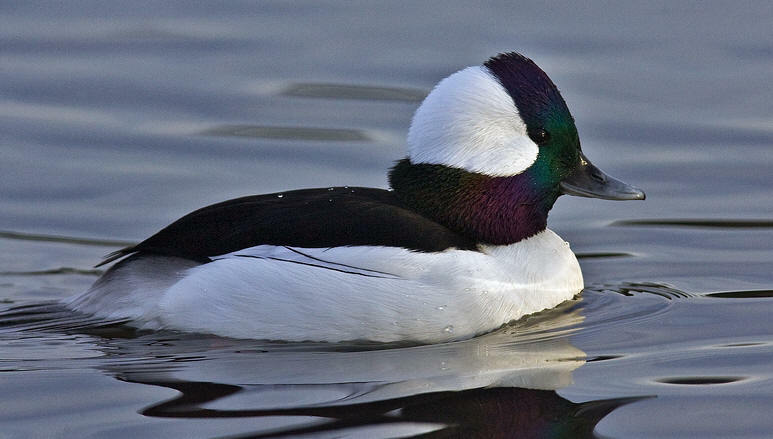 At this time, the buffleheads can be found by small lakes or ponds in the boreal forests and aspen-parklands of North America. Buffleheads begin mating after two years. 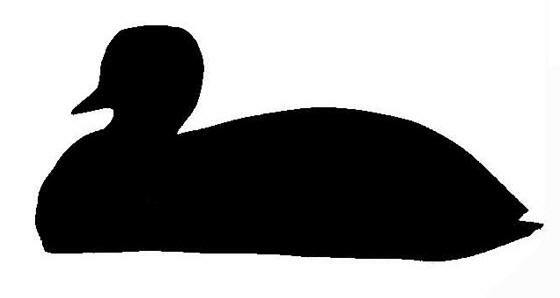 They are monogamous and may mate with the same duck for several years and are one of the few ducks to do so. The females will use the same nest for many years. The nest they use is a hole in a poplar or aspen tree that has been abandoned by a Northern Flicker, Colaptes auratus. They may also nest in manmade boxes. Females will use only enough down to cover the eggs. A female will lay between six and eleven eggs, one every one to three days. After the last egg is laid, the male leaves to molt, leaving the female to take care of the ducklings. Once the ducks have been born for a day, their mother leads them to the water where they can get some food, while she watches the territory. During breeding season, females will also become noisier because as they search for their nest, they will make throaty clucking sounds. *To see a video of displays of courtship click here. *To hear a bufflehead call click here.